Considerable savings can be made by replacing traditional incandescent and older type inefficient halogen lights with modern LED lighting systems. 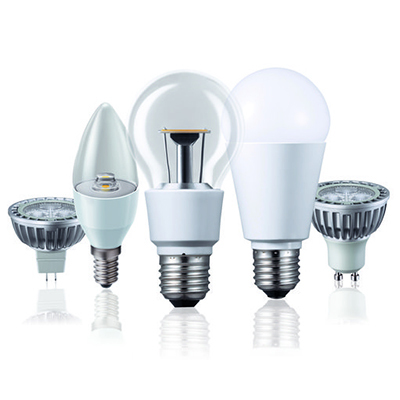 In a domestic environment savings of around £ 35 a year can be made simply by switching to LED. In a commercial setting, potentially huge savings can be made not only in running costs, but the longevity of the lights means less maintenance and the quality of the light provided is much improved so enhancing the working conditions of staff. Kinder to the environment- no pollutants, LED lamps are free from lead, mercury and glass, making them safer for our environment.